When architect Victor Gruen designed Southdale Center in the 1950s, he envisioned that the first-of-its-kind indoor shopping center would become a town square surrounded by housing. 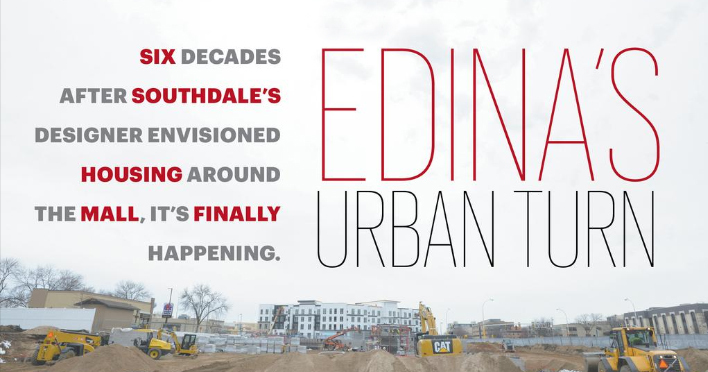 It took 60 years, but Gruen’s vision is finally coming true, and it’s at the forefront of a major Edina development boom that is turning the affluent suburb into a dense urban area. There’s at least $300 million worth of major development projects under construction in Edina and another $600 million in the pipeline. If developers follow through on their plans, more than 900 housing units will be added within a block of Southdale in the next few years. The new development is largely replacing low-rise office and retail buildings with massive parking lots that were built between 1965 and 1974, said Neundorf, who has studied Southdale and Gruen’s vision. Something similar is happening at the Pentagon Park campus southwest of Southdale. A longtime low-rise business campus is being demolished, and already two separate developers, Burnsville-based Chase Real Estate and Victoria-based Solomon Real Estate Group have pitched plans for a multifamily housing project and a medical office campus, respectively. Real estate professionals point to a number of factors driving development in Edina. It’s an affluent city with high incomes, and it’s riding a broader hot multifamily market. 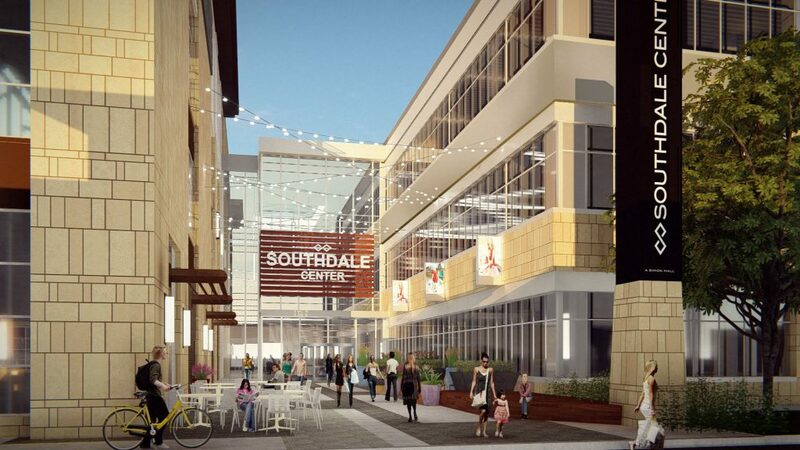 But they also point to Southdale Center, which is reinventing itself after years of struggles. Mall owner Simon Property Group is giving up big chunks of its parking lot for a new Homewood Suites hotel that is under construction, a Restoration Hardware furniture gallery and cafe that resembles a mansion, and a Shake Shack restaurant. 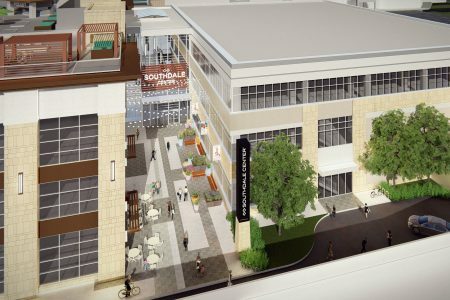 Most notably, however, is the teardown of former mall anchor J.C. Penney, where Chanhassen-based Life Time Inc. is building a prototype health club and co-working space. 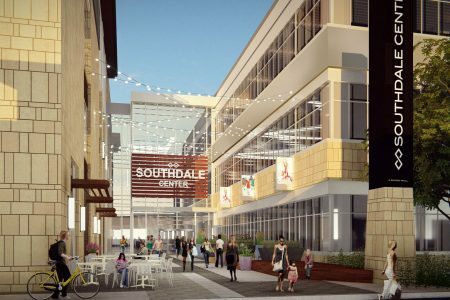 Recognizing the mall’s value in the community, the City of Edina has identified Southdale Center as a key element in a part of a larger municipal master plan. The reimagined shopping center will create a downtown live, work, shop and play environment. 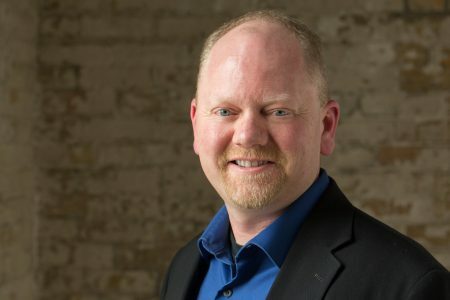 Sims has taken note of the changing landscape of Southdale and he’s moderating a panel discussion on the topic at the Minnesota Shopping Center Association monthly breakfast May 2, with Neundorf and representatives from Simon and Life Time. Southdale’s resurgence comes after years of struggle as ownership changed hands several times while Mall of America, which is six miles east, siphoned customers. Learn more about how RSP is Reviving America’s Oldest Mall. Retail: Survival of the Fittest in the Digital Age.